Uzbekistan's national cuisine has an ancient history and is closely related to Uzbek culture, language, traditions, and geographic and climatic conditions. Significant influence on the diversity and originality of recipes of Uzbek cuisine was that unlike the cuisine of the nearest geographical neighbors (nomadic peoples of Kazakhs, Karakalpaks, Kyrgyz and Turkmens) Uzbeks historically was characterized as a sedentary lifestyle and nomadic. 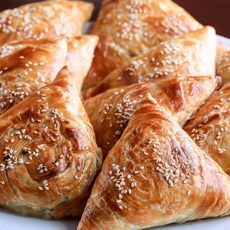 At the same time, the adoption of culinary traditions, assimilation of cultures (especially Persian-Tajik) had a profound impact on the diversity and richness of dishes. The origin of many of them has common roots with traditional Asian dishes such as pilaf, lagman, manta and others. 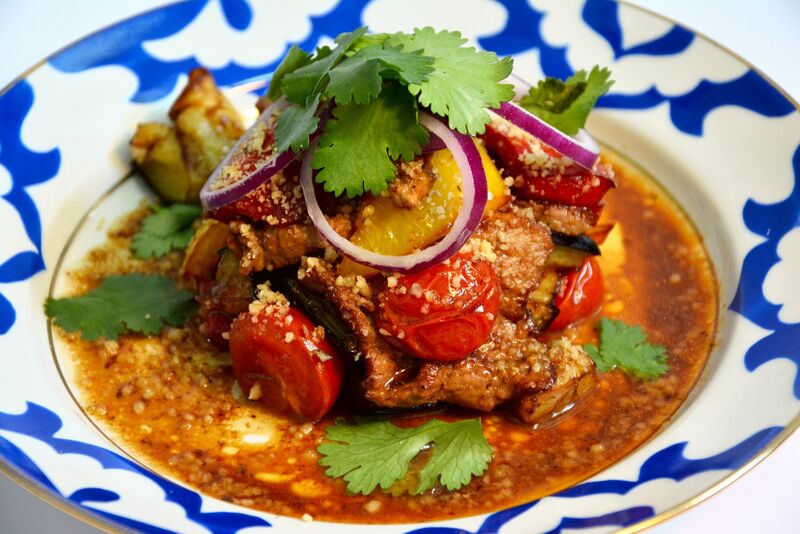 However, Uzbekistan has its own peculiarities of cooking these dishes, as well as its completely original dishes. 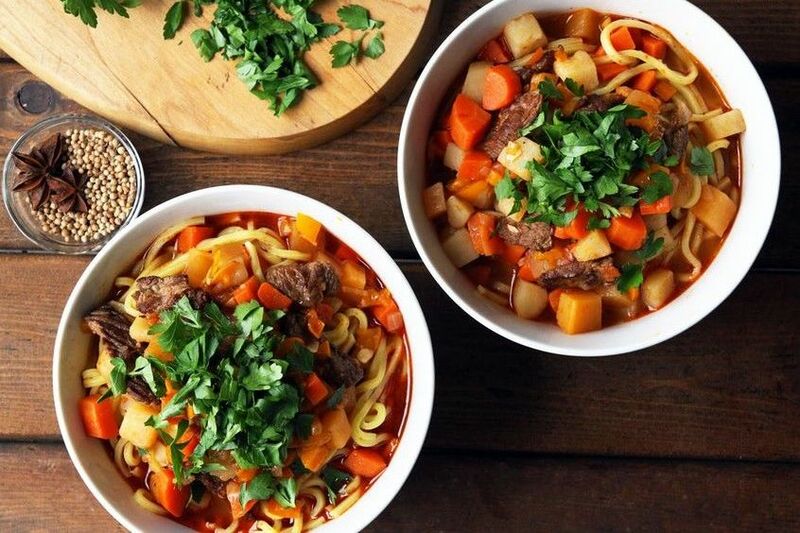 Despite the fact that the main dishes and cooking technologies of Uzbek cuisine were formed more than a thousand years ago, Uzbek cuisine was enriched with new products, ingredients and culinary techniques of Russian, Ukrainian, Caucasian, Tatar, Uighur and European cuisine. 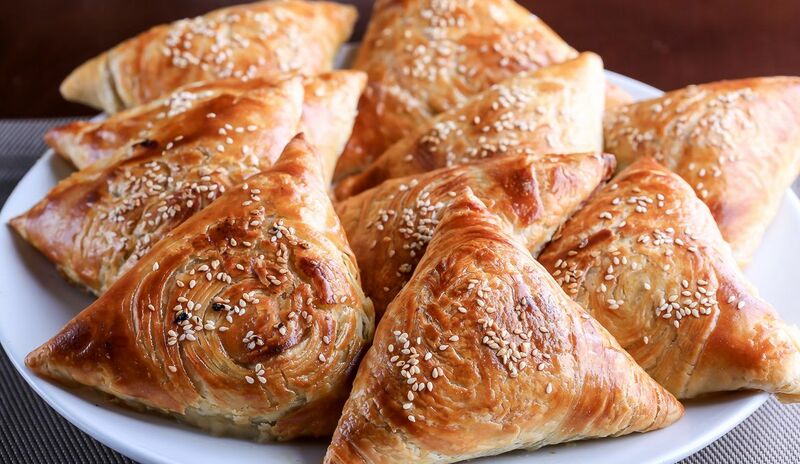 Uzbek national cuisine is rich and fragrant meat dishes, thick soups with an abundance of fresh vegetables and herbs, exotic sweets and original pastries. 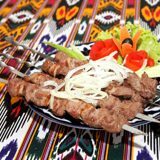 The peculiarities of Uzbek cuisine, as well as many other national cuisines, are due to the specifics of local agriculture. In Uzbekistan, a very well-developed grain economy, so the most important in the local cuisine are noodles and bread. 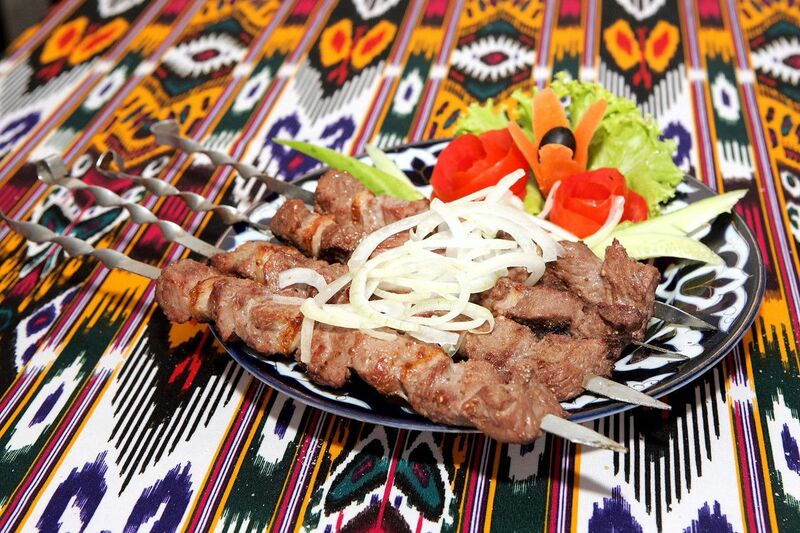 Also in Uzbekistan, sheep breeding is widespread, so the most popular type of meat is lamb, which is part of most of the main dishes of Uzbek cuisine. Less commonly used horse and camel. The recipe of Uzbek cuisine is huge. There are more than 100 kinds of pilaf, 60 kinds of soups,30 kinds of kebab. Pilaf is the most popular dish in Uzbekistan. It is prepared for every day and on special holidays, both secular and religious. And in each region of Uzbekistan has its own pilaf-Bukhara, Khorezm, Fergana, Samarkand, Tashkent. They differ in the way of preparation and additives to the main products. 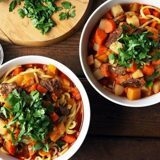 Among the soups are particularly delicious and fragrant lagman and shurpa – vermicelli and potato soup with lamb, fresh herbs and vegetables. For a couple of preparing manta rays stuffed with meat, pumpkin, spring greens. Various to your taste and appearance cakes - Uzbek bread, which is baked in a tandoor - a special stove made of clay. Tandoori cook and samsa national pies with meat, onion and sheep fat. No meal is complete without sweets. They are put on the table before serving the main dish with green tea-the main drink in Uzbekistan. 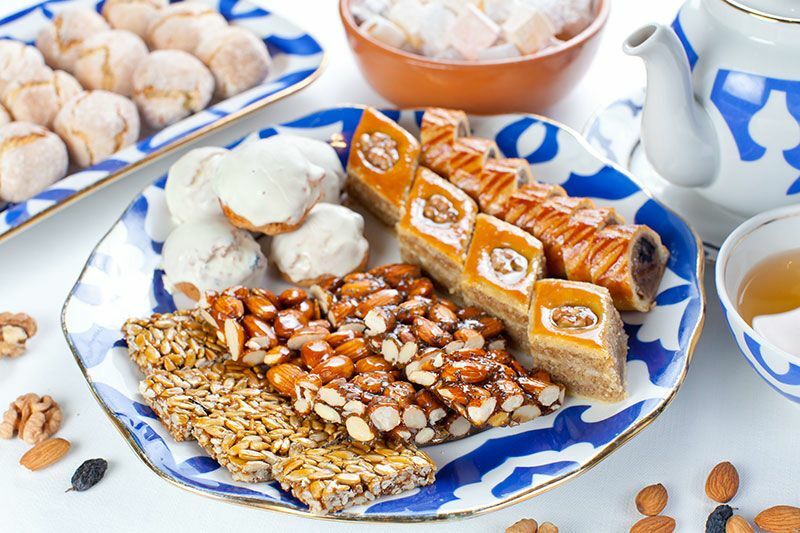 Among the sweets served dried apricots, raisins, nuts, halva, parvarda, baklava, honey, and in the spring on the table will be sumalak - delicious and healthy dish made from sprouted wheat. The main meat dishes are characterized by the preparation of fried, high-calorie food, the widespread use of cotton oil, sheep fat, oil, spices and herbs. Meat dishes are almost always prepared with onions, and its tab in proportion to meat is much larger than in European cuisine. Many dishes have a complex recipe, prepared by hand, which requires many years of skill and culinary art. A special professional skill is required in the preparation of large pilaf on tens and hundreds of kilograms of rice. Manty, dumplings (chuchvara) are molded by hands, the popular spring dish sumalak is cooked over low heat for more than 10 hours. At the same time, the preparatory stage for the germination of wheat may take several days. Currently, modern gas and electric cookers, kitchen utensils and appliances are widely used for cooking in Uzbek cuisine. However, traditional methods of cooking are still popular. A mandatory element of cookware is a cauldron-cast iron boiler spherical shape. Tandir-clay oven can be found everywhere in Uzbekistan and it is almost a mandatory element, especially rural cuisine. Traditional type of dishes, which is served pilaf and many other dishes-Lagan, large flat plate or dish. 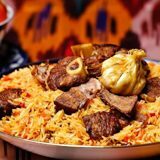 In modern meal in Uzbek cuisine rarely use forks - if the pilaf is not eaten by hands, it is customary to eat with a spoon. Other dishes used in Uzbek cuisine: spit (deep bowl), bowl (Cup usually for tea). In Uzbek national cuisine, there are marked differences between regions. In the North of the main dishes are rice, dishes made of dough. 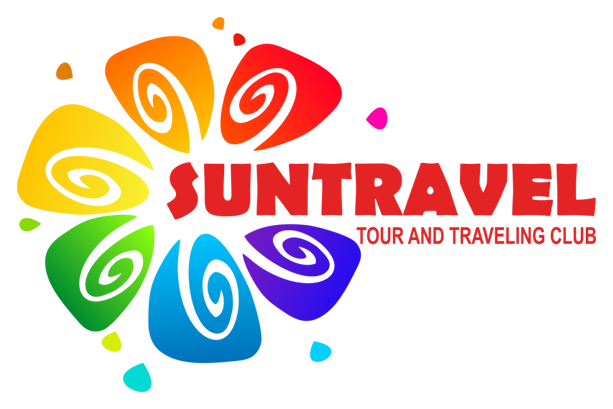 In the southern part of the country prefer multi-component dishes of vegetables and rice. 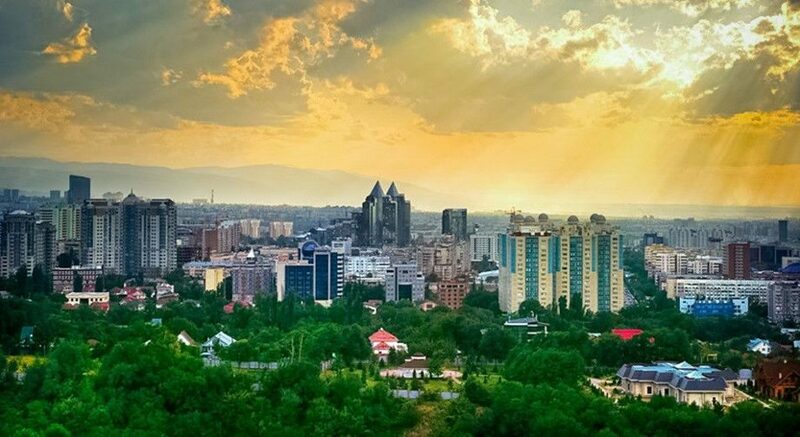 In the Ferghana valley are preparing more dark and fried rice, in Tashkent lighter. In Uzbek families, cooking at the household level is considered to be a male occupation and men often take on culinary responsibilities in the family. Preparation of large pilaf in a cauldron for a hundred or more kilograms of rice is the prerogative of only men. To fully enjoy the Uzbek feast for a European is an impossible task. Not only that, the Uzbek cuisine is fat and nourishing. It is customary to eat slowly, long and tasteful. 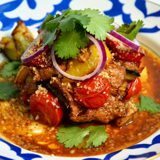 A long series of dishes amazes unprepared imagination of those who are accustomed to diets. Up to ten dishes for a meal - the usual Uzbek hospitality. Eat in Uzbekistan three times a day, but on the table-an abundance of different dishes, and they are all very high in calories. The main dishes are not for lunch, but for dinner. Firstly, because of the heat, and secondly, because many Uzbek dishes are prepared for a long time, sometimes even throughout the day. And in General, a good feast, in a large company, a real dastarkhan (Uzbek table), can be arranged in the evening, when the daily bustle is behind. There are such dishes that are not prepared every day, but only for weddings and holiday tables, dear guests. It is such in its own delicacies like kazy-map postuma of uramaki (roll of tail sheath), tandir - kabob (kebab in a tandoor), Noreen, hasip (homemade sausage). 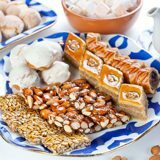 If the choice of soups and hot dishes of Uzbek cuisine is wide enough, the range of desserts is really very limited. A typical meal is completed with fresh fruit or dried fruit compote, also served with baklava, nuts or halva. Sweet pastries are less common than in other countries of the region. Traditional Uzbek national drink, as in many other countries of Central Asia – green tea. Green tea for Uzbeks is a drink that has not only gastronomic, but also cultural significance. This drink always accompanies the meal, it is a symbol of hospitality. If the owner of the house offers tea to the guest, then he is glad to this guest. Traditional tea is considered green, but black tea is no less popular in Tashkent. 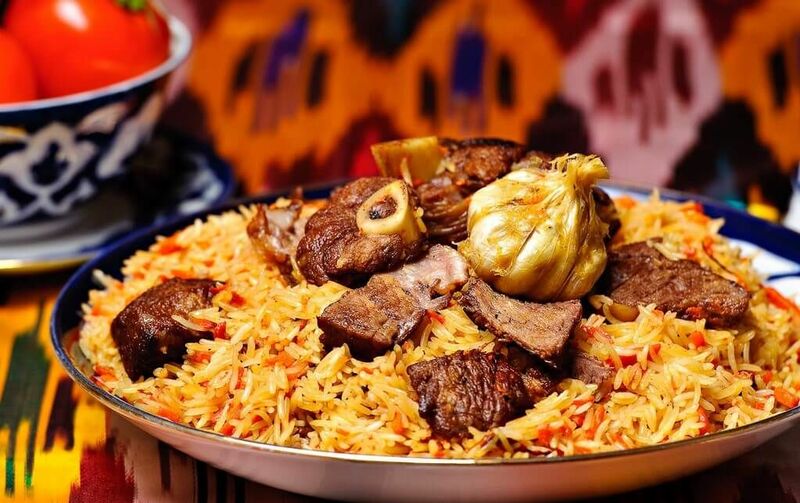 The main well-known dishes of Uzbek national cuisine: Pilaf is undoubtedly the most popular and most famous dish of Uzbek cuisine, which is, roughly speaking, pieces of meat with rice, carrots and onions. In Uzbekistan, there are dozens of varieties of pilaf, which differ both in the way of preparation and situational – there are different types of festive and ceremonial pilaf. Pilaf is not just a dish, it is a real cultural symbol of the country. According to the tradition, if pilaf is prepared for guests, it certainly should be prepared by the owner of the house. In many families, this tradition is observed today.